You are here: Home > Blog > Selling Real Estate > Why Hasn't My Home Sold? The Home is Priced Incorrectly – This is usually the number 1 reason homes don’t sell. Your REALTOR® presented you with a Comparative Market Analysis (CMA) when you first listed that gave a specific price range that the home should sell for based on comparable sales in the neighbourhood. This is the tried, tested and true way to determine a home’s value. If you listed your home based on your REALTORS® CMA and the home hasn’t sold after a few months, ask for another CMA to be done to see what has newly sold in the neighbourhood and help re-determine the price. The Home Isn’t Well Presented – This is a common reason why homes don’t sell. Make sure your home is clean, de-cluttered and ready for showings at all times. Out-dated decor in a home can also turn Buyers off. Another factor could be that Buyers just don’t like the layout – this isn’t something you can change, of course – but this could contribute to your home sitting on the market. Showing Availability Is Restricted – It can be challenging having your home available for showings at all times. Buyers prefer to see a home when the owner isn’t there. The best way to get a home sold is to let it be shown. This also applies if you have tenants in a home – they must try to accommodate showings for you as much as possible. 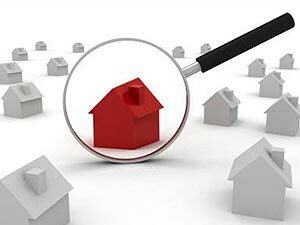 The Location Is Less Than Ideal – You can’t change the location of your home and there may be external factors (i.e. proximity to a highway) that could be turning Buyers off. Sometimes it takes a little patience to sell a home in a less than ideal location. Repairs Are Required – If there are many repairs that need to be completed, many Buyers will pass your home by. Old roofs, leaking basements etc can scare off potential Buyers very quickly. Make the repairs and updates necessary to help sell your home. The Market Is Slow – The market fluctuates seasonally in Grey/Bruce Counties. It could be the off-season when the market is slow. Talk to your REALTOR® about the current market conditions and the ideal time to have your property for sale. There may be some factors beyond your control. Talk to your REALTOR® about what can be done to maximize the appeal of your home and make the most of the elements that you do have control over. Have a question or comment? The Saugeen Team is more than happy to help! Call or email anytime!